Microsoft seemingly loves to make things confusing – you need to look no further than all the various naming conventions of Outlook and Hotmail Hotmail Is Dead! Microsoft Outlook Email Services Explained Hotmail Is Dead! Microsoft Outlook Email Services Explained Stop searching for Hotmail! The terminology surrounding the various Microsoft Outlook email services is confusing. If you no longer know whether it's called Outlook web app, Outlook Online, or other, let us explain. Read More for proof. As the amount of technology at our fingertips continues to grow, so too do the endless terms and designations applied to the software we use every day. Can you explain the difference between an app and an applet? How about between a Windows Store App and a Universal App? Don’t worry if you can’t; MakeUseOf is here to help! Before the advent of smartphones, the term “app” had barely entered our technology lexicon, and software that you installed on your computer was normally referred to as a program or an application. They were both shortened versions of “application program”, which is the correct term for any computer software that performs a group of coordinated functions. The word “app” has largely replaced “program”, at least in the minds of the public – but it can be argued that some subtle differences remain. A program is a set of instructions that can be executed on a computer, while an app is a piece of software which allows someone to perform a desired task. A program could be a piece of code that implements a logic, and can be part of an app, component, service, or another program. An app is dependent on an operating system in order to function, whereas the BIOS and operating system — both types of software — interact directly with the machine’s hardware. When using “app”, make sure you understand and differentiate desktop apps from smartphone/tablet apps – the two are not cross-compatible. Examples of a desktop app: Almost everything you interact with on a day-to-day basis is a desktop app, whether that’s Microsoft Office, a desktop email client, or a computer game. Desktop apps will also (usually) run on legacy versions of Windows, unlike Windows Apps (which we’ll come to shortly). Now we’ve cleared that up, let’s take a look at some of the other common naming designations that you’re likely to come across. In simple terms, a portable app can be carried around with you on either a USB stick or a flash drive. It doesn’t need to be rooted in an operating system and can be executed straight from its storage location. Hence, a portable app can be moved from one computing environment to another, and can be uploaded (and often used) from cloud storage services such as OneDrive, Google Drive, and Dropbox. From a technical perspective, a portable app does not need to be installed and does not put associated files and configuration information on the host device. Furthermore, it does not require additional software to be installed and is entirely self-contained in a single directory. Examples of a portable app: Some of the best are portable versions of Musicbee, uTorrent, GIMP, and Skype. Hundreds of high-quality portable apps The Best Portable Apps That Require No Installation The Best Portable Apps That Require No Installation Portable apps don't need installation. You can run them from even a flash drive. Here are the best portable apps around. Read More are available, from image editors to security tools 10 Great Security Tools You Should Be Using 10 Great Security Tools You Should Be Using You can never be too careful out there in the wild west that we like to call the Internet, so using free and low cost security tools is a good idea. The following are recommended. Read More , and from music players to browsers. The definition of a Windows Store App is more straightforward – it is an app that has been downloaded directly from Microsoft’s Windows Store. The apps first came to prevalence Use Windows 8 In Style With These Amazing Metro (Modern) Apps Use Windows 8 In Style With These Amazing Metro (Modern) Apps Windows 8 hasn’t quite taken off yet, but this shortcoming certainly isn’t due to a lack of apps. After all, there are several years’ worth of traditional Windows desktop apps to fall back on! 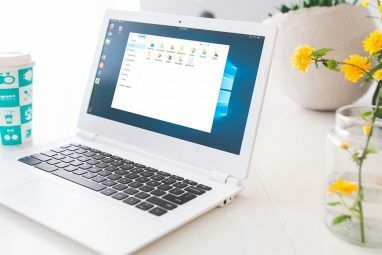 As... Read More in the much-maligned Windows 8, and although initially choices were limited and the quality was suspect, they have since developed into a strong alternative to typical desktop computing. Lots of widely-used desktop apps now have a Windows Store App version available as well. While the definition might be simple, the name is not. They were originally called Metro Apps, but after the threat of a lawsuit from a German company with the same name, they were re-branded as Windows 8 Apps. Since then, they’ve also been called Modern Apps and Universal Apps – none of which were overly successful. The key point to understand about Windows Store Apps is that they’ll definitely work on desktop versions of Windows 8, Windows 8.1, and Windows 10. They might also work on other Windows-based platforms (such as mobiles and tablets), but it’s not guaranteed. Examples of a Windows Store App: Microsoft Solitaire Collection, Netflix, Skype (again), Facebook. Even though the term “Universal Apps” no longer refers to all Windows Store Apps, it hasn’t left the Microsoft lexicon entirely. Today, “Universal Apps” — or “Windows Apps” as they’ve been called since mid-2015 — are similar to Windows Store Apps, but have one key difference: they can run on all Windows platforms, especially on Windows 10 (desktop) and Windows 10 Mobile. From a technological standpoint, all Windows Apps are built on the Universal Windows Platform (UWP) and are designed to give users a consistent experience on all their devices. Microsoft has called this “Continuum” Continuum: Switch Between Windows 10 Desktop & Tablet Mode Continuum: Switch Between Windows 10 Desktop & Tablet Mode Windows 10 recognizes your hardware and instantly chooses the best display mode. When you connect your Windows 10 Mobile to a larger screen, you'll get a PC-like experience. That's the smoothness of Continuum. Read More , meaning that an app will recognize aspects such as screen size and availability of peripherals (keyboard, mouse, etc) and adjust it’s behavior accordingly. Windows Desktop Application: Will only run on the full desktop version of Windows. Windows Store App: Will run on desktop versions of Windows 8, 8.1, and 10, and might work on other platforms. Windows App (Universal App): Will run on all Windows versions and platforms since Windows 8. In case anyone actually managed to understand the above classifications, Microsoft initially decided to further complicate matters by subdividing the Windows Store and introducing the Windows Phone Store. Thankfully, that store was abandoned in Q4 of 2015 and the Windows Store became a homogenized offering across all devices. It also swallowed up the Xbox Video and Xbox Music stores, and it’s now Microsoft’s main shop front for all apps, music, video, and other downloadable content. 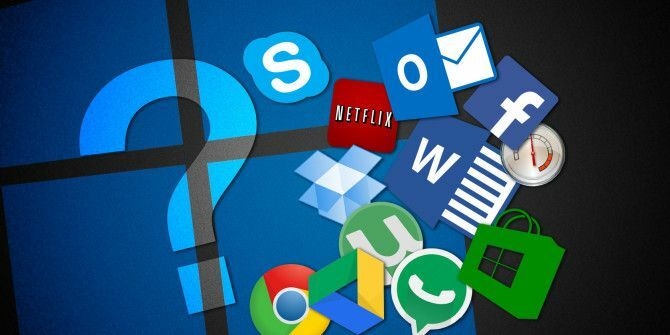 Despite the homogenization, some phone apps still live on in their own little bubble and can only run on Windows phones – they are not “universal” like a true Windows App. Worryingly, more apps are now being removed than added. 2015 saw American Airlines, Chase Bank, Bank of America, NBC, Pinterest, Mint, and Kabam all discontinue their releases. With news of disappointing sales Windows Phone Is Dead, Amazon Builds Spotify Killer... [Tech News Digest] Windows Phone Is Dead, Amazon Builds Spotify Killer... [Tech News Digest] Windows Phone sales are laughably small, Amazon rumored to be targeting Spotify, Apple recalls 12 years-worth of power adapters, Netflix gets blocked in Indonesia, and The Angry Birds Movie in all its glory. Read More and rumors of the Lumia line coming to an end, we might not see this category as a separate distinction for too much longer. Examples of a Windows Phone App: WhatsApp, Flipboard, Viber, Facebook. 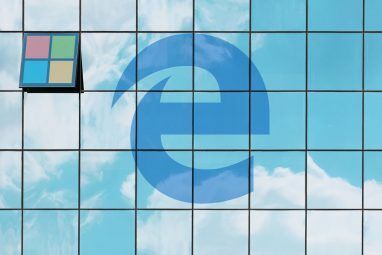 Tools, or “system tools”, typically perform an administrative task 10 Essential Windows Tools & How to Access Them 10 Essential Windows Tools & How to Access Them Many powerful Windows features are out of sight and out of mind. We will remind you of key administrative tools and show you the quickest ways to access them. Read More on a computer. They are normally built-in and do not require installing. They are accessible either through Start > Control Panel > Administrative Tools or via a run command. Examples of a Tool: Resource Monitor, Disk Defragment, Event Viewer, Disk Clean-Up. This article only scratches the surface of the differences between all the classifications. If you struggle to grasp a particular term or name you can let us know in the comments below, we’ll do our best to explain it to you. Explore more about: App, Continuum, Windows 10. All software regardless of being named an app or program are instructions that run on a computer - and they all have a desired task to perform. And YES, a smartphone is a computer! The last bullet point is also wrong. There are true differences between applications and system software but whether they write to BIOS or directly to hardware is not one of the separators. Operating systems provide a shell for virtually all programs to operate or run regardless of the hardware. I know definitions change as time goes on but please leave basic definitions like application programming. 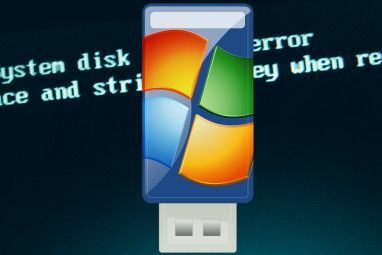 "In simple terms, a portable app can be carried around with you on either a USB stick or a flash drive." Oh, I beg to differ - you can also run them directly from your internal hard drive or SSD, on a SD card (inserted in a card reader), a USB hard drive or SSD, a compact flash card...pretty much any device that can store files that the computer can read and write to. Indeed! I have 10-15 on my HDD right now.